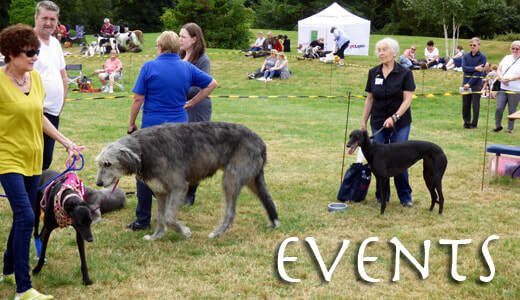 We hold several important events each year, including dog shows, craft fairs, an auction and a quiz night. They provide a great opportunity for our supporters and the general public to get together, have a good time and to raise money that is absolutely vital to our work. A lot of effort goes into these events - from obtaining sponsorship, collecting donations to sell and selling stand space to setting up marquees, manning our NHfH stalls and taking everything down again afterwards. The more people we have involved in these events, the less work there is for each person. If you'd like to get involved and might be able to spare a few hours over the very occasional weekend, then please get in touch! You're not committing to anything, but we can discuss what you may be able to do, as and when our events occur. Are you a local business, retailer or charity that might benefit from having your own stand at our events? Do you sell goods or services, or promote causes that may appeal to our wide range of supporters? If so, please get in touch to find out how we might be able to help each other!